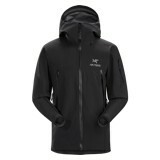 Lightly insulated GORE-TEX® soft shell construction for a sleek look with a supple fabric that is completely waterproof. 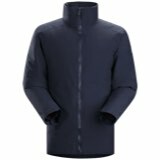 The Arc'teryx Sentinel Jacket has all the bells and whistles, large cuffs to fit over gloves and a helmet compatible Storm Hood™. 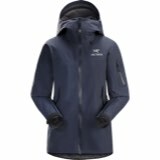 The Sentinel Jacket features Slide 'n Loc™ snap system that allows the jacket to snap into compatible pants for powder protection in deep snow. 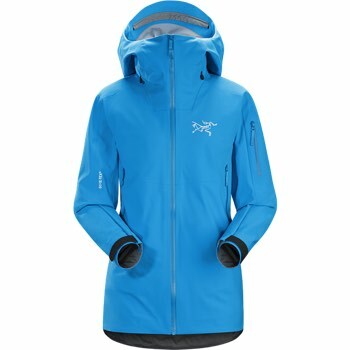 This women's jacket features a relaxed fit with volume for layers inside yet has a flattering appearance. 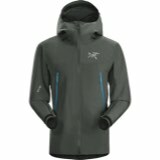 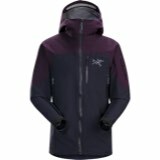 The Arc'teryx Sentinel Jacket has easy one hand pit zippers to regulate temperature and articulation through the shoulders and sleeves for mobility when skiing/riding.